A perfect game day dinner that the whole family will love! 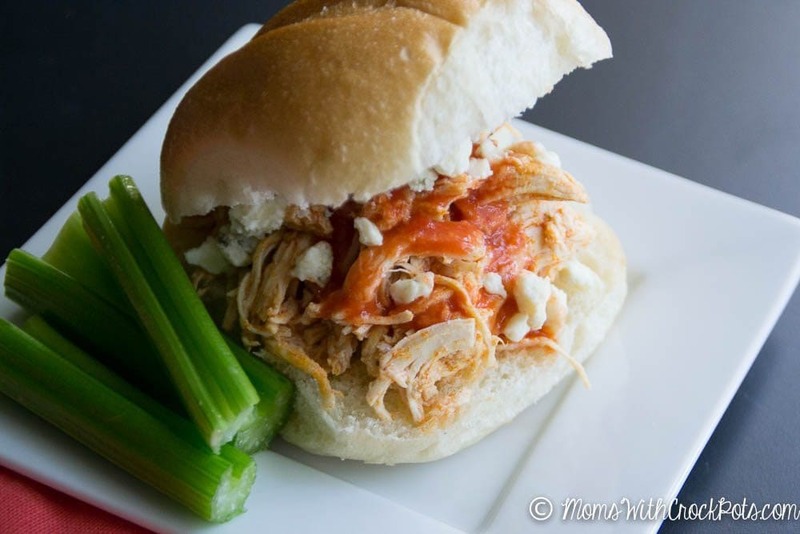 This easy to make Crockpot Buffalo Chicken Sandwiches Recipe is the real winner. I don’t know about you but I am tired of the same ole’ crock pot dips that everyone calls football food. 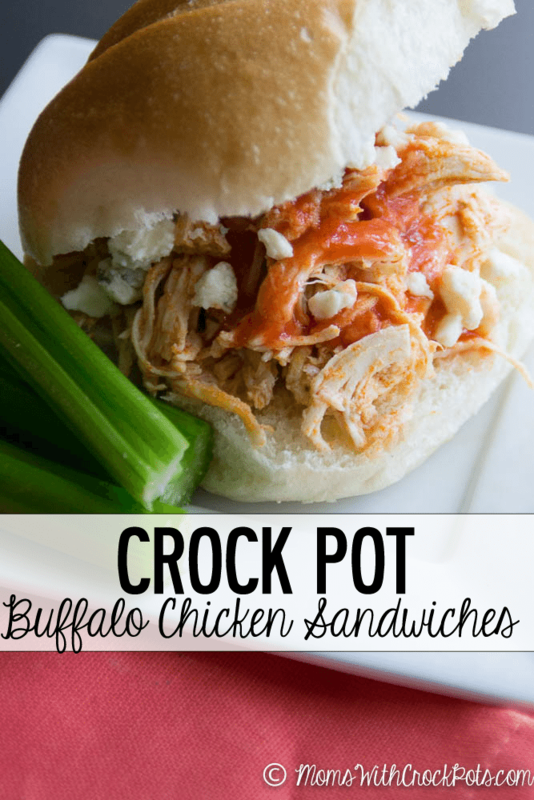 Sure they are delicious but lets spice things up a bit with these Crock Pot Buffalo Chicken Sandwiches. Not only are they super simple they are amazing! This is an everybody in the pot kinda dish. Toss in the chicken, hot sauce, and ranch dressing mix. Put the lid on and let it cook for 7 hours on low or about 3 – 3 1/2 on high. Plus if you are super lazy you can toss all of the ingredients in a large gallon ziploc and freeze until you are ready to cook. Just dump the frozen contents into the crock pot and pick up a pack of buns from the bakery. YUM! 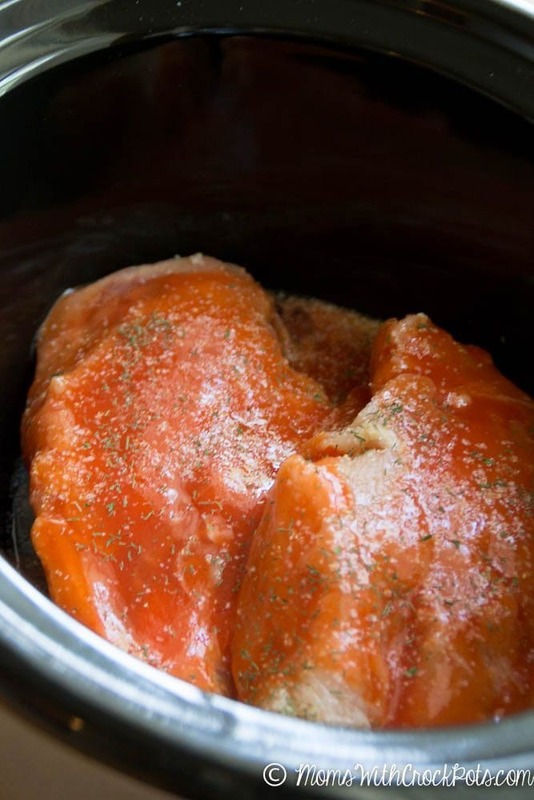 If you are using frozen chicken add about 30 - 40 minutes to the cook time. Doesn’t the ranch mix have milk in it? Is there a Dairy free substitution?